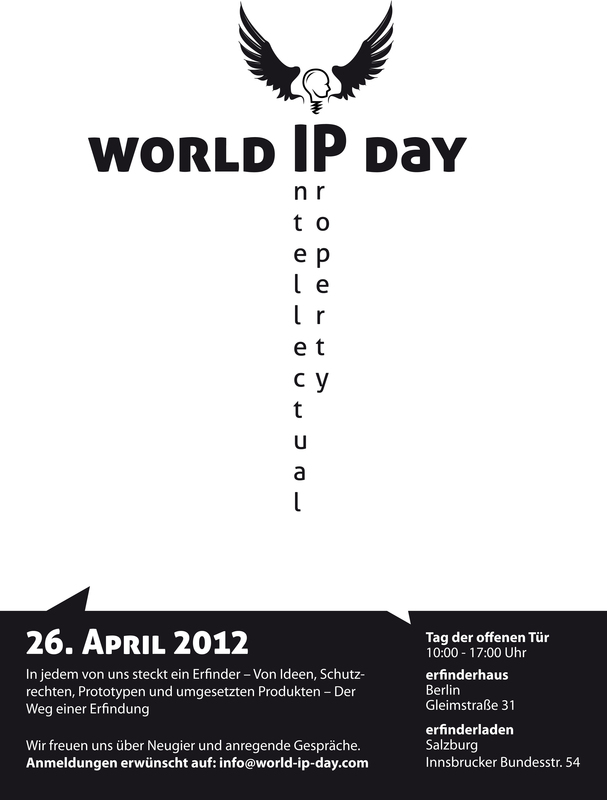 One, two… in three days, actually this Thursday, organizations from all over the world will celebrate World IP Day 2012. And so does InventorHaus, Inc.! 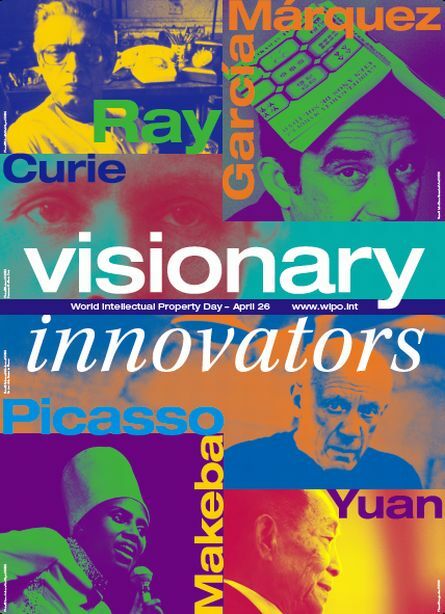 World IP Day will also be celebrated with an open house day at the company´s inventor shops in Berlin, Germany (Gleimstraße 31) and Salzburg, Austria (Innsbrucker Bundesstraße 54) on Thursday April 26th from 10 am to 5 pm. If you are interested just email to info@world-ip-day.com and schedule an appointment with one of the company´s professional invention consultants. You can talk about property rights, marketing tools or any other invention issues. Have you ever heard of the World Intellectual Property Day? It´s celebrated every year on April 26th. The event was established by the World Intellectual Property Organization (WIPO) in 2000 to „raise awareness of how patents, copyright, trademarks and designs impact on daily life“ and „to celebrate creativity, and the contribution made by creators and innovators to the development of societies across the globe“. This year´s motto is „Visionary Innovators“. Either with an event or an activity, organizations from all over the world will participate. And so does InventorHaus, Inc. as well as the Erfinderhaus Patentvermarktungs GmbH group. Stay tuned, we keep you up to date!